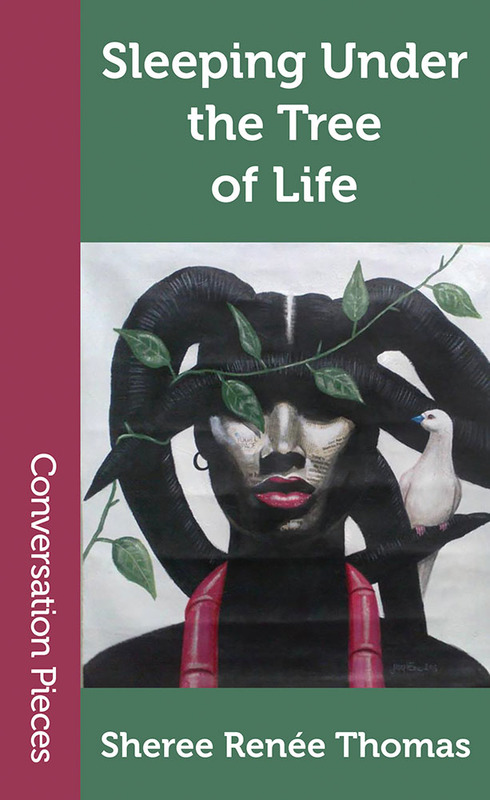 I'm pleased to announce the release of Sleeping Under the Tree of Life, a collection of poetry and stories by Sheree Renée Thomas, as the fiftieth volume in Aqueduct's Conversation Pieces series. Sleeping Under the Tree of Life evokes the realm of ancestral knowledge with a deep respect for the natural world, a love of language, and an invitation—for survival, and asks: Who survives without being transformed? Beneath luminous layers of imagery and mythology, science and nature, fantasy and the recounting of history, is the grace and tenderness of a poet's heart, the unwavering gaze of an oracle's vision, and the dreamlike whimsy of a storyteller's mind. Hope, love, and hard truths spring from these pages of a writer whose imagination conjures an unforgettable journey. Readers enter these poems and stories the way some souls enter church, a quiet garden, or a stand of trees—for rest, for the blessing of silence and reverie, for beauty if not redemption. Last week Publishers Weekly gave the book a starred review: "The lyrical gifts of Thomas, editor of the celebrated Dark Matter anthologies, are on full display in this collection of poetry and short fiction. Her poems are imbued with rich, sensual imagery and range over subjects mundane, fantastical, and somewhere in between: the memory of a mother braiding her daughter’s hair in “Rootwork”; an oracle in the form of a homeless woman whose “mismatch clothes/ cover robes that got wings” in “Visitation of the Oracle at McKain Street”; and the mythological Arachne, “Star weaver of tears,” in “Arachne Star” and “Arachne on the Rebound.” She invokes the rhythms of African-American ring shouts and the dense, humid atmosphere of the American South. Her stories include reinventions of mythology, such as Medusa and Arachne ambushing the goddess Athena in revenge in “Arachne & Medusa Jump Athena,” and haunting modern folktales about women with their roots in rivers (in “River, Clap Your Hands”) and swamp trees (in “Tree of the Forest Seven Bells”), with references to recent natural disasters and human-created pollution. Thomas’s skill with poetry and prose is remarkable, and even the shortest poems in this volume contain ideas and images that will linger in the reader’s mind." "Sleeping Under the Tree of Life is a collection of tales and poetry reflecting the mythical origins of life inside the dream of 'trees, rivers, stars, blood.' Through Thomas' words every day birth, desire, death becomes a beautiful, dream-like dance full of magic, light and dark. We are shown that things are more than they seem and under the most common skin lies infinite power." —Linda D. Addison, award-winning author of "How to Recognize a Demon Has Become Your Friend"
Sleeping Under the Tree of Life is available now in print and e-book editions through Aqueduct's site, and will soon be available elsewhere.